All My Happy Endings: 1st conference? piece of cake! 1st conference? piece of cake! As a blogger, or potential blogger, one naturally thinks about the goal of a blog. For me, it’s a fully-customized, fabulous site that is a true expression of who I am and what I’m about. Being self-taught, I’ve climbed a lot of mountains and it’s taken a lot of time constructing my brand, with numerous revisions along the way. // lack of confusion and stress. Seriously. 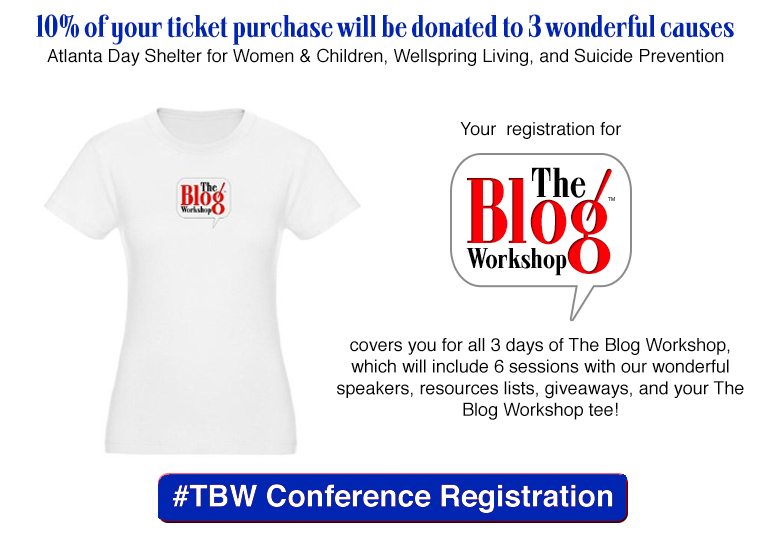 Welcome to The Blog Workshop – a 3-day online workshop in building, branding, and profiting your online space, starting 17th May. Benefits? The flexibility of learning at your own pace, from your own computer, without the traveling expense, and time away from home and loved ones! Beyond that, the opportunity to learn from key speakers such as IZEA, Blog-Trends, Attorney Jeneba Ghatt, Blogads, Sverve CEO Rohit Vashisht and more. You’ll learn time-saving techniques and energy management techniques so you can focus on what you’re good at. The result? Information that makes SEO look like a piece of cake. A site that’s wonderfully infused with your personality, brand, and voice – you’ll become known for what you make, say or do…not for what you blog. 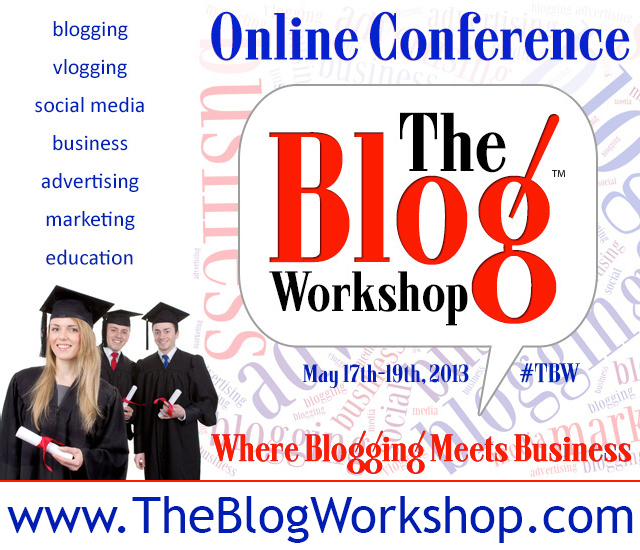 *Giveaways and prizes include video blogging equipment, LLC packages from LegalZoom and more! **Ticket sales end May 10th. Any additional queries? Hop over to the FAQs page to learn more about the course, and whether or not it’s right for you. Thanks for sharing- will look into this! 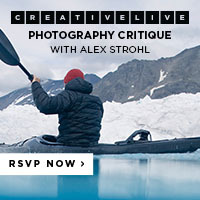 Let me know if you attend -- would love to see how you like it!